BACK TO SCHOOL: Students of the EMSB primary and secondary institutions will return to class on Monday, August 31, 2015. Kindergarten children must be five years of age on or before September 30, 2015 while Grade 1 (Cycle 1) students must be six years old on or before the same date. Registration for those not previously enrolled will begin on Monday, August 10 for elementary and secondary schools. Parents are asked to call the school in their neighbourhood to make an appointment. Parents are urged to consult the Board’s website here, which also contains information about the successful adult education and vocational training programs. E-mail inquiries can be sent to informationdesk@emsb.qc.ca or you can call 514-483-7200. The EMSB serves more than 36,000 students at 35 elementary schools, 17 secondary schools, eight alternative outreach high schools, seven social affairs institutions and 10 adult and vocational centres. Here is a link to the 2015-2016 youth calendar. Sylvia Lo Bianco with Marlene Jennings. presentation to the government all the while respecting constitutional rights. NEW REGIONAL DIRECTORS: The Council of Commissioners has appointed Regional Pelagia Nickoletopoulos (West) and Evelyne Alfonsi (East), effective July 1. 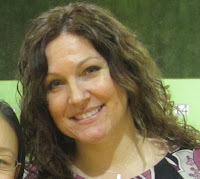 Ms. Nickoletopoulos is presently the principal of Lester B. Pearson High School in Montreal North while Ms. Alfonsi is the principal of Gardenview Elementary School in St. Laurent. SPECIAL BOARD MEETINGS: There will be a special Council of Commissioners meeting on Monday, June 22 (8 p.m.) for the appointment of in-school administrators for 2015-2016. On Tuesday, June 30 (7 p.m.) the Council will convene to adopt a new budget and deal with other outstanding matters. POTENTIAL SCHOOL TAX HIKE: EMSB Chairman Angela Mancini is calling upon political leaders from the provincial and municipal levels to speak up now about the potential skyrocketing school tax that will occur on the island of Montreal if proposed changes to school board governance are adopted in the National Assembly. The Comité de gestion de la taxe scolaire de l’île de Montréal (CGTSIM), which is responsible for the centralized management of the school tax on behalf of the five school boards on the island of Montreal, estimates at just over $100 million the additional amount in school taxes that could be paid by taxpayers in its territory if the government opts for a unique school tax rate in Quebec. The tax rate would increase to $0.24 per $100 of assessment, instead of the current $0.19 on the island of Montreal in order to provide the government the annual income of $2 billion of school taxes for the entire province of Quebec. 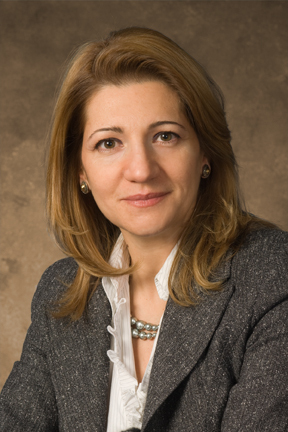 “The Minister of Education has announced that he plans to abolish school commissioners, which will effectively result in school taxation without representation,” commented Ms. Mancini. “Based on the figures presented to us by the CGTSIM, our political representatives will have a full blown tax revolt on their hands. The time for them to speak up is now.” EMSB Commissioner Patricia Lattanzio is the chairman of the CGTSIM. See the full press release. LIVE BROADCASTS: Global TV will broadcast live from Michelangelo International Elementary School in RDP on June 18, with remote reports organized in part by the BASE Daycare Program. Weather specialist and host Jessica Laventure will be on site. Meanwhile, for the final days of classes on June 23, City TV's Breakfast Television's Wilder Weir will be live at Westmount Park Elementary School, with reports airing between 6 a.m. and 9 a.m. THE AMAZING RACE CANADA: When The Amazing Race Canada returns to CTV for its third season on Wednesday, July 8 (9 p.m.), a Montreal couple will be among the 12 teams competing for a $250,000 cash payout, “gas for life” from Petro-Canada, the opportunity to fly for a year anywhere Air Canada travels worldwide in Business Class, and two Chevrolet Colorado Trucks: the 2015 Motor Trend Truck of the Year. Anjou’s Nic La Monaca, 22, and Sabrina Mercuri, 32, of Lachine have been dating for a little over a year now and while there’s no ring on her finger, these two know they’re getting married and spending the rest of their lives together. Nic is a graduate of the EMSB's John Caboto Academy in Ahuntsic and Lester B. Pearson High School in Montreal North, where he was part of the Sports Études Program. Nic played soccer professionally in Italy and was moving up the ranks when he sustained an unfortunate shoulder injury. This put an early end to his career at the young age of 20. However, he continues to support the soccer community as a coach. The couple enjoy going to soccer matches together, cooking, and having a great heated argument. Kyle Dine, students, staff and parents. years, Dine has performed at over 300 schools for over 125,000 students. He has grown up managing his own allergies to peanuts, tree nuts, eggs, seafood and mustard. His songs help empower, support, and educate all children. With a guitar slung over his shoulder, an EpiPen® on his belt, and a cast of zany puppets accompanying him, he tells students what they can do to help keep others with allergies safe. After growing up with multiple food allergies himself, he has a lifetime of stories and experiences that he shares with students while answering their questions. See this video of Kyle at Gardenview. Here is the press release and please read Zoe's Bennett's blog post. HISTORY OF THE SOUTH WEST: James Lyng High School in St. Henri held a vernissage on June 11 to launch an exciting cross curricular (history, ethics, English and French) project focusing on the history of the South West sector of Montreal. The latter encompasses St Henri, Little Burgundy, Pointe St Charles, Ville Émard. As an Urban Arts School, a focus undertaken in partnership with McGill University, the staff and students at James Lyng have put together a photobook documenting their Burgundy Jazz project in Little Burgundy. The latter is an educational app (http://music.cbc.ca/#!/Burgundy-Jazz) available on IPhones and IPads that students used to guide them through their walking tour of Little Burgundy. It focuses on the history of Jazz in Montreal and the South West borough specifically. In addition, there is a large scale wheatepaste mural on the exterior wall of the school featuring prominent figures from the South West. This includes jazz legend Oliver Jones, Montreal Canadiens General Manager Marc Bergevin, actor and playwright Vittorio Rossi, Concordia men's hockey team head coach Kevin Figsby and many more. Kevin Figsby, Vittorio Ross with artists and students involved with the project. The goal of the project was to bring the students into the community and the community into the school. This project-based learning experience enabled the participants to address multiple areas of curriculum requirement, as well as tap into the visual arts in partnership with the local artist duo HoarKor. The vernissage will showcase the photobook, a photo exhibit and the mural project. James Lyng history teacher Scott McLeod has played a key role in getting this project off the ground. Here is a report from Global TV. James Lyng students in Ottawa. HOLOCAUST PROGRAM: A total of 25 students from James Lyng High School in Secondary IV and V participated in the "Ambassadors of Change" Program and then attended the National Holocaust Remembrance Day Ceremony. Students from Ontario and Québec joined together to discuss stereotypes, hate, passive citizenship, protecting the rights of minority groups, and multiculturalism with an open mind and open heart. During the Ceremony, Party Leaders Thomas Mulcair, Justin Trudeau and Elizabeth May conveyed the responsibility of Canadian citizens to share the stories of the Holocaust so that we do not allow anti-Semitism to set root. Teacher Stacey Blumer organized the visit. This video represents an excellent summary of the events on the Yad Vashem website, including an emotional address by Mulcair. The podcast team with staff and guests. EDINBURGH PODCAST: The Town of Montreal West and the City of Côte Saint-Luc are steeped in local history, and Cycle 3 students from Edinburgh Elementary School in Montreal West ventured out into their surrounding communities to discover, learn and create. Since November, students spent time visiting different historical places in both neighborhoods. 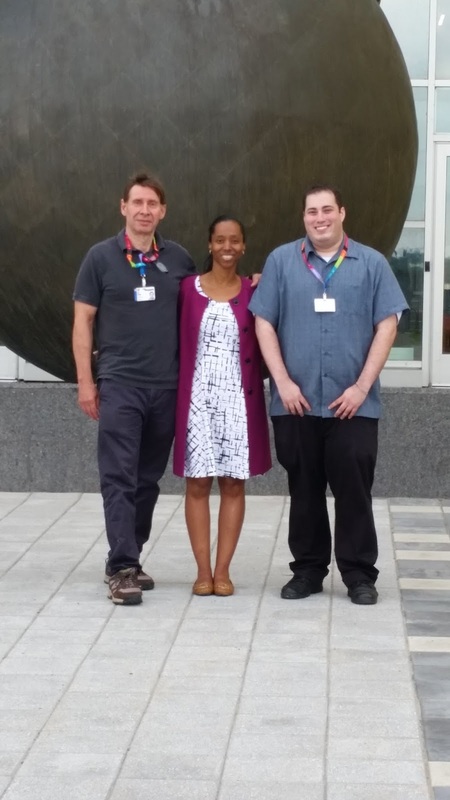 With each visit came a history lesson, which became unique podcasts heard for the first time on June 11. The project was developed by teachers Pina Trengia and Jean-Michel Brunet, along with Commissioner Joseph Lalla and Kish Gue from the EMSB's Pedagogical Services Department. Mayor Beny Masella of Montreal West has indicated that QR codes linking to the podcasts will be placed in strategic areas to ensure visitors to Montreal West can appreciate them as well. Visitors will be able to scan the QR code on their smartphone and be immediately linked to the podcast. TOUCHING BASE NEWSPAPER: The Touching B.A.S.E. daycare newspaper (Summer 2015 edition) is hot off the press and available online here. Printed copies were sent to the schools. 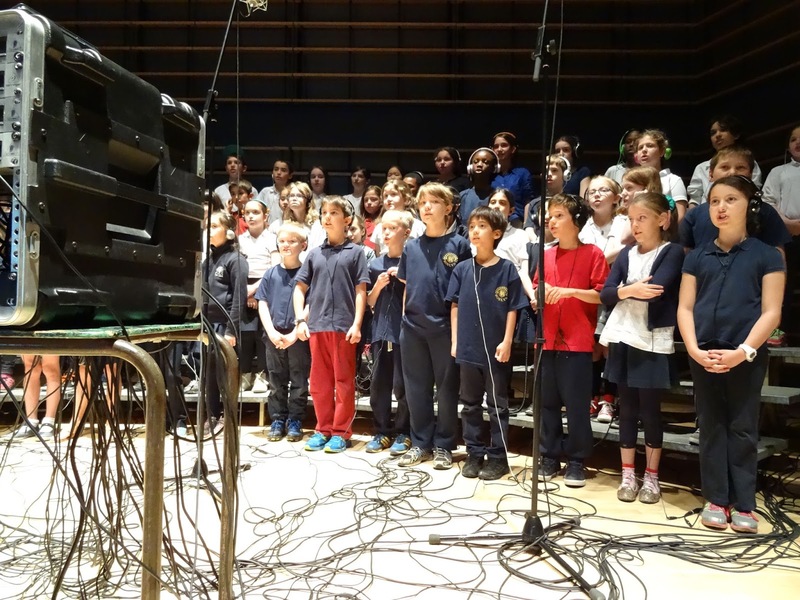 TEMPS DES FLEURS: A total of 340 Montreal elementary school choristers, a symphonic orchestra and renowned Quebec actor Guy Nadon have collaborated on a children’s book/CD about the ancient Greek myth of Persephone and how the seasons came to be. A red carpet launch is scheduled to take place on October 29 at the Embassy Plaza while a concert is scheduled for November 21 at the Salon du Livre de Montréal 2015 where the project will be their main event. Over 500 publishers, authors, illustrators and thousands of guests are expected to be there, not to mention mainstream media. Le Temps des Fleurs, le Temps des Neiges is a massive multi-disciplinary project culminating in the creation of a book/CD for children in French which explores the ancient Greek myth of the Goddess Demeter, her daughter Persephone and the unbreakable bond that exists between a mother and her child. The EMSB is represented by six elementary schools: Gardenview in St. Laurent, Pierre de Coubertin in St. Léonard, Edinburgh in Montreal West, Roslyn in Westmount, Royal Vale in NDG and Sinclair Laird in Park Extension. Written by Canadian children's book author Glen Huser and adapted to French by Jean Antonin Billard and Robert Paquin, the book includes an operatic version of the story on CD, composed by Athens-based Giannis Georgantelis. Brilliantly illustrated by three time Governor General Award winning illustrator Philippe Béha and narrated by Nadon, le Temps des Fleurs le Temps des Neiges is a collaboration of Panarmonia Atelier Musical with Quebec publishing house Planète Rebelle and Chroma Musika in partnership with the Hellenic Community of Greater Montreal and the Hellenic Congress of Quebec. Project musical directors Dimitri Ilias and Maria Diamantis hope the children of the choir gain a better understanding and appreciation for ancient Greek mythology, broaden their horizons coming in contact with great Canadian artists and learn how a professional CD is made — from recording to final mixing, editing and mastering with Concordia Professor and Juno Award Judge, Dr. Mark Corwin. The opportunity to perform alongside a symphonic orchestra is a unique musical experience not available to many. Even more importantly, the children learn the value and rewards that come from teamwork, cooperation, hard work and discipline. 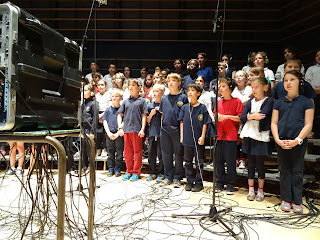 On May 15 and 16, 175 EMSB choristers from the participating schools recorded at the Oscar Peterson Concert Hall. The young songbirds were amazing and like pros stood for over three hours recording the multiple takes that are required for a recording project of that magnitude. LOVE OF READING GRANT: Principal Irini Margetis is still in shock a few weeks after a group of 15 representatives of Chapters/Indigo burst into her office with a cheque for $48,000, making St. Monica Elementary School in N.D.G. one of 20 schools across Canada to be awarded the “Love of Reading” grant. Established 11 years ago by Heather Reisman, the C.E.O and founder of Chapters/Indigo, the Indigo Love of Reading Foundation is committed to providing books for inner-city elementary schools. In what was a pleasant turn of events, the team who applied for the grant: English Resource teacher Elena Bertoldi, science teacher Fernand Deschamps, Cycle 1 French teacher Nancy Coutu, librarian Mary Moroska were gathered with their principal on a conference call with a representative from the Love of Reading Foundation. A few weeks in advance of the call, the school was made aware via e-mail that they were amongst a group of 40 finalists and a winner will be determined in the near future. Unbeknownst to them, representatives from Chapters/Indigo stores in Montreal were waiting outside the door with balloons, cakes, juice and a cheque. As the call was winding down, the interviewer announced that the school had won, at which the office door opened and the celebrations begun. “This was such an amazing surprise,” said Ms, Margetis. “We are so excited to use this grant to improve our library and provide our students with many more resources and opportunities for learning. We are so grateful to Chapters/Indigo for selecting our school and giving our students this opportunity.” Last June, Coronation Elementary School in Côte des Neiges was awarded a $60,000 grant from the Love of Reading Foundation. DANTE WINS CONTEST: Six elementary schools (Pierre Elliott Trudeau School in Rosemount; St. Gabriel School in Pointe St. Charles; Gerald McShane School in Montreal North; Dante School in St. Leonard; and East Hill School and Michelangelo International in Rivière des Prairies) participated in a contest sponsored by the EMSB and Montreal-based energy efficiency solutions company Energère to help promote and raise awareness of energy efficiency and protecting the planet. This contest coincided with the recent announcement of an ambitious $24.6 million project, in which 17 EMSB schools and centres were chosen to help bolster energy efficiency by modernizing and renewing their equipment, so that they could significantly reduce energy consumption and greenhouse gas emissions. While a number of students from each school were awarded prizes, first place overall went to Dante Elementary School’s “treescape. ” It is now on display in the EMSB Administration Building Cafeteria. GREEN GRANTS: For the fourth consecutive year, the EMSB has handed out Green awards and grants to different schools, this time worth $24,870.The EMSB Green Plan Committee received and reviewed many submissions, which reflected the Green Action Plan of various schools. The aim here is to help schools, centres, and the Administration Building implement and fund future environmental initiatives ensuing from their action plans.“The EMSB would like to congratulate all the schools that continue to demonstrate their dedication and creative abilities in an effort to remain environmentally conscious,” stated EMSB Chairman Angela Mancini. Angelike Falbo with EMSB Interim DG Angelo Marino. ANGELIKE FALBO TO SING ANTHEM: Following an idea planted with the Montreal Alouettes sales and marketing brass recently, the team has decided to invite Laurier Macdonald Secondary V student and singing superstar Angelike Falbo to perform the national anthem at their regular season home opener on Thursday, June 25 (7:30 p.m,) at McGill's Molson Stadium. Angelike,of course, was the runner up in TVA's reality show smash hit La Voix and seen by an average of 2.5 million viewers per week. She will have her first solo concert on Saturday evening, July 4 at the Centre Leonardo Da Vinci in St. Léonard. Information on how to purchase tickets can be found on one of the rotating banners on our website at www.emsb.qc.ca. MISSING CHILDREN AWARENESS: Secondary V International Baccalaureate student Eryka Lafleur-Smith from Laurier Macdonald High School in St. Léonard focused on the 30th anniversary of Enfant Retour Quebec (The Missing Children’s Network) for her end of year project. Eryka decided to take it upon herself to create and organize a program in honour of all the missing children. Two and half years ago, she participated in an event entitled Voices for the Missing. She was one of the selected youth who took part and provided a voice for Marilyn Bergeron, who went missing in Quebec City in 2009. Her 24th birthday was on February 27. On her own, Eryka created a painting and developed a speech in honour of Marilyn. This inspired her to take a more active role. On May 25, Eryka organized a fundraising soccer tournament which involved several EMSB high schools. “The goal of my event was to try and provide students and adults with the same amazing feeling I got when I learned about all the missing children and what their parents go through daily,” she said. “I also wish to spread awareness among youth in schools. This is truly something important and a cause that I really believe can change so many lives in a positive manner, just like it did mine.” Eryka welcomed the parents of Marilyn Bergeron, Michel Bergeron and Andrée Béchard, to the event. They presented Eryka with a necklace with Marilyn’s photo inside. For more information, email her at: erykalafleur@outlook.fr. Here is our Photo Album of the event. Rob Lacroix at the left. LMAC ALUMNI: Robert A. Lacroix graduated from Laurier Macdonald High School in 1986. He attended Marionopolis College in Pure and Applied Science and earned his Bachelor’s Degree in Mechanical Engineering from McGill University in 1992. Today he serves as vice-president of engineering at a company called Immersion. He works at the Montreal office as well as at the head office in San Jose, California where he spends at least one week per month in addition to business trips to Japan, Korea, Taiwan, China, well as and many cities in the US and Europe. At Immersion he is responsible for all product development activities including transforming innovative proof-of-concepts into commercial solutions that meet performance and value expectations. During his tenure at Immersion, Rob has held a range of positions, including director of software development, Mobility Engineering program manager, and General Manager of Immersion Canada. Before joining Immersion in 2000, he developed firmware for a number of customers that included Haptic Technologies (acquired by Immersion in 2000), the Canadian Space Agency, and other embedded systems device manufacturers. Rob recently went to NASDAQ as technical support to the CEO. In New York City, he was part of an Immersion delegation which closed the Stock Exchange. Immersion Corporation visited the Nasdaq MarketSite in Times Square in celebration of three billion Haptic-enabled devices. Immersion is the leading developer of haptic technology, tactile feedback and effects that are used to bring touch experiences to digital devices such as smartphones, tablets, gaming controllers, medical equipment, and car touch screens, panels and pads. Rob's mother is Janice Lacroix, a former communications consultant with the EMSB. which they were coloured with red, blue, yellow and green powder. 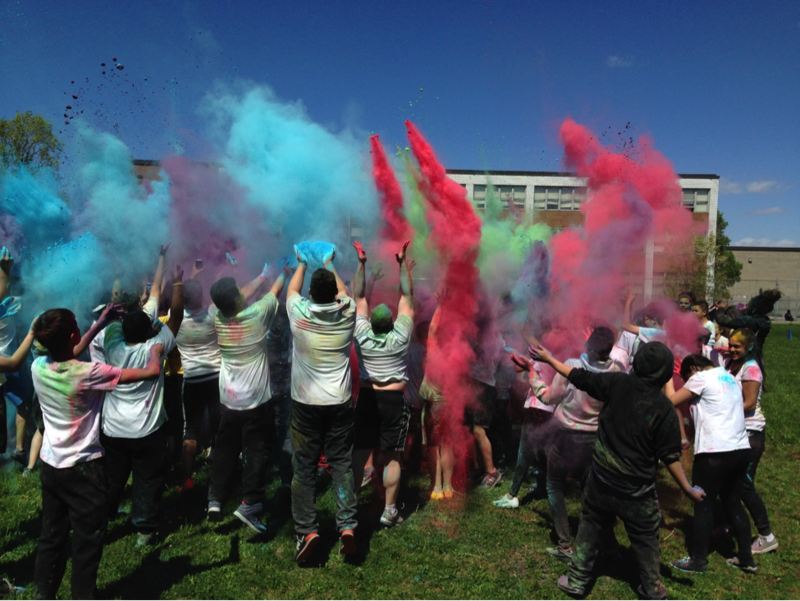 At the end of the race, students took part in a “colour explosion,” where the remaining powder was thrown in the air creating an amazing rainbow effect. The annual race, which is quickly becoming a JFK tradition, was organized by Physical Education teacher Shaun Simon and assisted by the JFK Work Oriented Pathways Program, School Administration and Spiritual and Community Animator, Aaron Durocher. 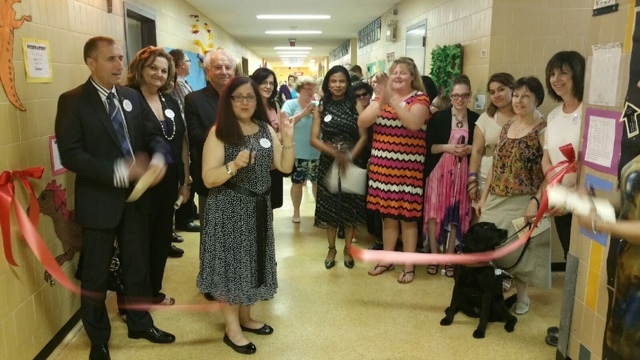 PHILIP E. LAYTON INAUGURATION: Philip E. Layton School officially inaugurated its new home at 3500 Decarie Boulevard in NDG recently, having moved at the start of the academic year from its longtime base at the Montreal Association of the Blind (MAB) on Sherbrooke Street West. The inauguration also served as an opportunity to celebrate the school’s 103rd anniversary. A video presentation brought to light the years of education and dedication that Philip E Layton School has offered the blind, visually impaired and multi-handicapped students of the English community of Montreal and the province. Principal Patrizia Ciccarelli, school personnel and students were joined by Interim Director General Angelo Marino, Deputy Director General Roma Medwid, Commissioner Joseph Lalla, Parent Commissioner Joanne Charron, parents and alumni to help mark this special occasion. Following the video presentation guests were invited to visit classrooms and take part in lessons that take place during a typical day at Philip E. Layton School. The school now shares premises with the Mackay Centre School, which educates children with motor, speech or sensorial difficulties. Discussions have been ongoing with the Quebec government about funding for a new facility to house the two schools. ENTREPRENEURIAL WINNERS: The Mackay Centre School Satellite Class from Westmount High School was a regional winner at the 17th annual Quebec Entrepreneurship Contest on May 27. The fundraising initiative was also entered at the provincial level and on April 30 they won Le Concours Quebecois en Entrepreneuriat for the Coup de Coeur Fushion Jeunesse. 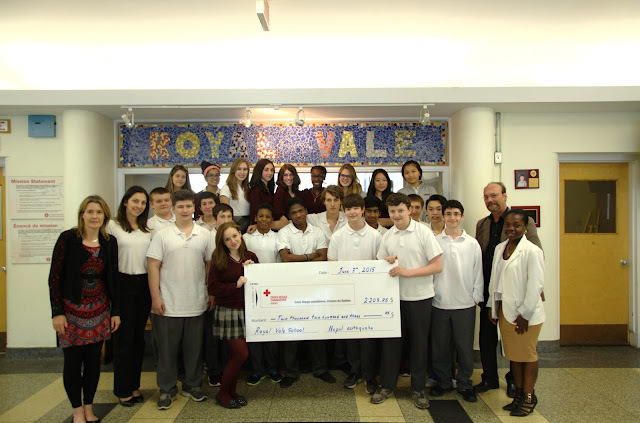 On June 10 they proudly presented their cheque to the Montreal Children's Hospital. The Leaders on Wheels raised over $1,500 by selling brownies and their Cajun Spice Mix. CHILDREN’S HOSPITAL MOVE: The EMSB has maintained its longstanding presence at the McGill University Health Centre (MUHC) Montreal Children’s Hospital, making the move from Atwater to the new Glen site. Gail Callendar is the principal responsible for the school the EMSB operates there, with two full-time teachers taking care of the needs of all students staying at the hospital. Dan Novak and David Weiss are currently handling those duties. “After months of sorting and packing, while at the same time continuing to see patients, the move went very smoothly and efficiently,” explained Novak. “The new building is very spacious, with large windows everywhere that let in a lot of natural light. GENERATIONS FOUNDATION AWARDS: Adrian and Natalie Bercovici, founders of the Generations Foundation, are regulars across the EMSB and annually they set out to recognize students who have developed into leaders both at school and in the community. Since 2008, these students, who are nominated by their school’s staff, receive a laptop and plaque in recognition of their participation in community activities, good scholarship and school involvement. Three elementary students will be honored at their respective graduations this year: Isyss Rock-Brown from St. Gabriel Elementary School in Pointe St. Charles (graduation at 600 Dublin on June 19 at 5 p.m.); Dameko Carter from Nesbitt Elementary School in Rosemount (graduation at Rosemount High School, 3737 Beaubien on June 19 at 5 p.m.); and Lucas Larivière-Lezetc from Dalkeith Elementary School in Anjou (graduation at 7951 Dalkeith on June 18 at 6 p.m.). Generations Foundation also recognizes perseverance at the high school level with a plaque and a monetary award. Three students from John Grant High School in Côte Saint-Luc (5785 Parkhaven) will be recognized this year: Chelsea Marshall-Charron, Antonio Simon-Jones and Marina Tavares. These students will be recognized at their graduation ceremony on June 11 at 5 p.m.
Nouveau International’s Théâtre Ste-Catherine. Gracing the stage, armed with a variety of wigs and facial expressions by night, and inspiring youth in the classroom by day, Leggitt has always used comedy as a communicative tool, as evidenced by The Shiner. From habanero pepper-eating students to schemers and sweethearts, The Shiner’s hilarious characters offer the inside scoop on what the often-misinterpreted title of spiritual community animator is really all about. Seamlessly blending the real Katie Leggitt with the fictional Rebecca Reubens, this one-woman show will share sidesplitting truths about classroom life, touching stories of loss and the magic of imagination. Pack yourself a tissue box and get primed for circle time with Miss Katie. “Katie Leggitt is one of the most versatile and powerful actor-performers in Canada.” You can still see the show June 18, 20 and 21 at Venue 7 –Montreal Improv Theatre (3697 Boulevard St. Laurent). Click here for more information. Anthony Housefather at Dunrae Gardens. Housefather talks to Carlyle students. HOUSEFATHER VISITS: Côte Saint-Luc Mayor Anthony Housefather, who will be the Liberal candidate in the next federal election in the riding of Mount Royal, donated 170 two by four coroplast boards to the two elementary schools in TMR- Carlyle International and Dunrae Gardens. The material which was used in his nomination campaign, will be re-used in their art classes. At Dunrae Gardens, Mayor Housefather spoke to a second grade class and at Carlyle, Mayor Housefather spoke to a Grade 6 class which happens to be studying government at the present time. See the photo album. NEPALI RELIEF: Over the last several weeks, high school students from Royal Vale in N.D.G. raised $2,213 for the Nepali relief efforts in light of the two major earthquakes that struck the Asian country in April and May. PET SPRING CONCERT: Pierre Elliott Trudeau Elementary School in Rosemount held a successful Spring Concert recently. Students, under the guidance of music specialist Caroline Cameron (M.A), performed under the theme of Disney. Pierre Elliott Trudeau offers a strong Pre-K program that focuses on social and academic skills. “Next year’s Pre-K program will offer music classes and hopefully the students will get to learn more about music using singing, movement, rhythm and ear training games," says Ms. Cameron. 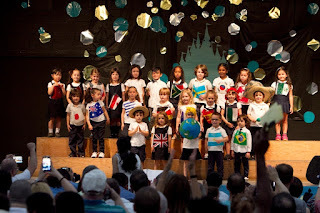 Here is a picture of the Pre-K classes performing “It’s a small World After All." EBS FIELD TRIP: On June 9, the Kindergarten and Cycle 1 students of Elizabeth Ballantyne Elementary School in Montreal West visited the extensive grounds of the Apiary and mini farm of Intermiel in Mirabel, Quebec. Here is a terrific blog entry summarizing the program. Lev Berner, Marie Francis, Nechama Surik, Riva Hecht and Thomas O. Hecht. SCHOLARSHIP WINNERS: Three teachers from the EMSB have been formally presented with scholarships from the Riva and Thomas O. Hecht Scholarship, Teaching of The Holocaust for Educators Program for a three week experience at the Vad Vashem Holocaust Memorial in Israel next summer. Chosen from among many applicants were Lev Berner from Vincent Massey Collegiate in Rosemount, Nechama Surik from the Shadd Health and Business Centre and Marie Francis from John Grant High School in Côte Saint-Luc. They took part in a gala celebration at the Gelber Conference Centre in Snowdon on June 17. This marked the 10th anniversary of the project and the many other EMSB teachers who have received scholarships in the past were on hand as well. The awards will be presented at a Gala Dinner on June 17. Each of the teachers will take part in a professional development program under the direction of the Faculty of the Yad Vashem Seminars for Educators from Abroad, International School for Holocaust Studies. The goal of the program is to provide professional development activities to teachers for teaching about the Holocaust and anti-Semitism to students in the youth Sector. Each recipient will be asked to create at least one teaching unit or module developed within the context learned. See our photo album from the evening. GOLF TOURNAMENT: ACRA, an association of retired school administrators, has announced that its annual Golf Tournament will take place on Thursday, July 2 at Club de Golf Belle Vue (www.golfbellevue.com) in Chateauguay. All proceeds will go towards the St. Gabriel’s Food Bank in Pointe St. Charles. Co-Chairs Peter Yaworski and Kevin Marciniak note that registration will be capped at 144 golfers and forms are being accepted now. Golfers should arrive by 11:30 a.m. for a shotgun start at 12:30 p.m.Organizers are seeking companies and individuals to step forward and sponsor holes for $125 each in order to raise the necessary funds for the Food Bank. Prizes for the raffle are also being solicited. ACRA was established in 1998. Its objectives are to provide social/group activities, to promote member welfare and to support philanthropic and charitable endeavors. The members are former administrators from the EMSB and its predecessor boards. Mr. Yaworski worked mostly at Good Shepherd School in Brossard under the Commision Scolaire de Brossard, now the Riverside School Board. Mr. Marciniak was with the former Montreal Catholic School Commission, including 20 of those years at St. Pius X Comprehensive High School. For more details go to www.acracan.org to obtain the registration and table reservation forms. In the event of inclement weather, golfers will be issued a rain-cheque and the dinner portion will proceed as scheduled that evening. 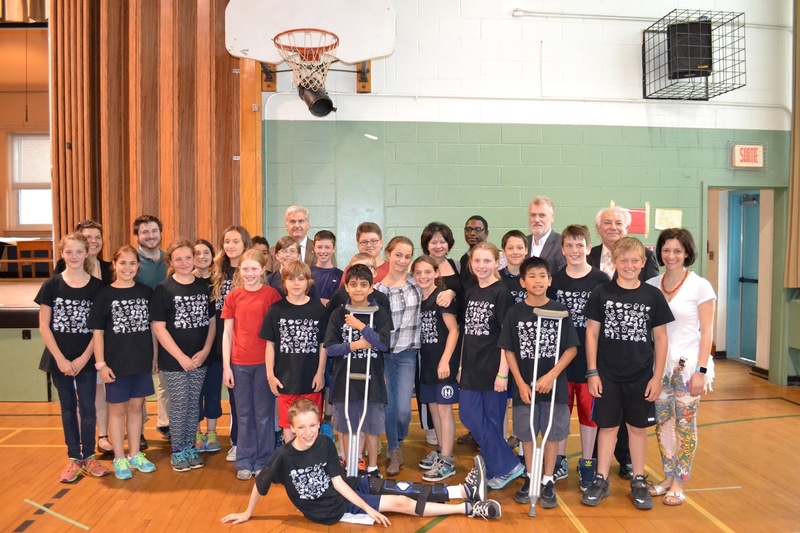 WESTMOUNT PARK ON RADIO: On Saturday May 30, the two Grade 6 classes from Westmount Park Elementary School had the opportunity to host a two hour radio show of Radio Enfants on 102.3 FM. The theme of the show was diversity and multiculturalism. For several months the students – along with support and guidance from their Grade 6 teachers - prepared and rehearsed their show before it was finally recording and then broadcast on 102.3 FM. The aim of this broadcast was for the students to express and share their knowledge and experiences in regards to their own culture as well as the culture of their fellow classmates. “The students did a phenomenal job hosting this radio show and everyone at WPS is extremely proud of their work,” said Principal Robert DiMarco. INSECTS AND BUGS: The students in Donna Perlin’s Cycle 1 Language Arts class at Elizabeth Ballantyne Elementary School in Montreal West have been studying insects and bugs. The children have been reading Bugs are Insects by Anne F. Rockwell. They learned an insect has six legs, a thorax, an abdomen, antennae, mouth, eyes and a head. After learning that bugs are not insects, students had to invent an insect and do by being as creative as possible while ensuring their insect had all the right components. They also decided what their insect ate, where it lived, what made it unique and if it was poisonous. Finally, they each presented their new insects to classmates. PUBLISHED WORK ON SUCCESS RATE: Last January the Canadian Education Association (CEA) was made aware of the fact that the EMSB had achieved the highest graduation rate in the province (87.8 percent). As a result, the Pedagogical Services Department was asked to submit an article outlining their story of school based change and how they embarked on and implemented a series of initiatives in all schools that focus on building sustainable teacher professional learning networks, resulting in an improved student success. Gil Abisdris wrote the article in collaboration with Paul Kettner and Lina Zielinski. It was published in the June 2015 issue of Education Canada Magazine. The theme of the issue is “Towards fewer dropouts, La perséverance scolaire” See this excellent article on how we reached this level. WRITING COMPETITION: Congratulations to the Westmount High School students who participated in this year’s Westmount Public Library McEntyre Writing Competition. The school won 15 of the 20 prizes, including first place in grades 7, 9,10 and 11, which is a new school record! They were honoured by the mayor and city council of Westmount at Victoria Hall on June 3. The list of prize winners is as follows: Grade 7, First Place, Ryan Wark and Third Place, Hannah Surette; Grade 8, Third Place, Stephanie Berglas and Honourable Mention, Oloivia Ho; Grade 9, First Place, Leonardo DaCunha, Second Place, Stefano Fede; Third Place, Daniel Lanthier; and Honourable Mention, Adrienne Buell; Grade 10, First Place, Ezra Budman, Second Place, Kashante Marshall and Third Place, Briget Hamilton; Grade 11, First Place, Jaylin Paris, Second Place, Brandes Tecks, Third Place, Yuxin Xu and Honourable Mention, Atticus Woodall. VIDEO SCREENING: The old Cinémarobothèque Theatre (1564 rue Saint Denis) will host a video screening of short films written, directed and edited by 12 at-risk youth involved in Productions Oracle’s (www.productions-oracle.com) employability video production program, funded by the Forum Jeunesse de l’île de Montréal. This will take place on Thursday, June 18, from 6:30 p.m. to 9 p.m. Some of the students attended EMSB alternative schools. The goal of the Productions Oracle Employability Program is to help very marginalized youth have access to the job market and inspire them to find work or return to school. This objective has been achieved via three types of programming. 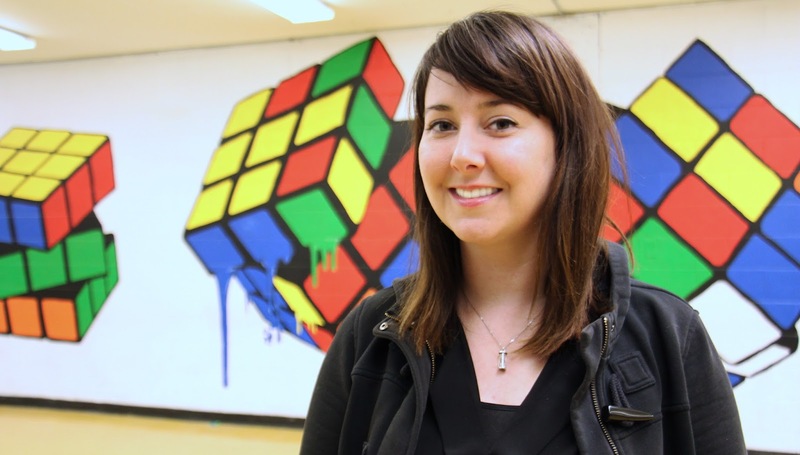 “We work closely with Batshaw Youth and Family Services and received referrals from youth all over Montreal,” says Alyssa Kuzmarov, founder and director of Productions Oracle. “There is a big need for youth who are not in school and not working to have programs that provide them concrete skills as well as career exploration activities to motivate them to find a meaningful path and their place in society. We have great success working with and inspiring these very hard-to-reach youth.” See the complete press release. Angelo Marino, Sandra Furfaro, Paola Miniaci, Silvana Anania, Anna Marie De Silva, Adrienne Buell, Patrizia Tummillo and Angela Mancini. ANTI-HOMOPHOBIA/TRANSPHOBIA CONTEST: The EMSB Pedagogical Services Department is pleased to announce the winners of our 2015 Anti-Homophobia/Transphobia Poster Contest. In light of Bill 56 and our goal of developing safe and healthy school environments, students from all of our secondary schools were invited to create posters depicting the short or long term effects of homophobia and heterosexism The top finishers were each from Westmount High School: Adrienne Buell (“A Little Colour Never Hurt Anyone”) was first, with runners up Kaela-Rose Le Blanc (“Sticks and Stones”) and Luke Drummond-Dupuis (“It’s Safe to Come Out”). Honorable Mention went to Erika D’Antonio, Vincent Massey Collegiate in Rosemount, (“Get Yelled At/Get Beat Up”); Cassandra Marcovecchio, Vincent Massey Collegiate (“If Only the World Could See”); Elena Landaverde, Vincent Massey Collegiate (“The Closet is a Place to Lock Up Your Homophobia”); Pamela Pagano, Laurier Macdonald High School in St. Léonard (“The Consequence is a Closed Mind”); Cherlynn de Asis, LaurenHill Academy in St. Laurent (“I’m Free to be Me”); Hillary Hyunji Song, Westmount High School (“Romeo & Julien – Still a Love Story?”); Sooa Cho, Westmount High School (“Love Does Not Have Boundaries”); Hannah Farmer, Westmount High School (“Happiness – We All Deserve It”); Jennifer Hackett, Westmount High School (“I Loved Him, and Society Took Him Away”). Adrienne was presented with a gift bag from Brault & Bouthillier with $150 worth of art supplies at the last Council meeting. LAURENHILL VERNISSAGE: The annual vernissage sponsored by the Montreal Teachers Association and the LaurenHill Academy Junior Campus English Language Arts (ELA) and Fine Arts departments took place on May 28. Guests had an opportunity to see the work of cross-curricular student productions, such as writing pieces, photography, mapping and artwork. With the help of inter-regional professional learning communities, teachers and students at Gardenview Elementary School, Westmount Park Elementary School, LINKS and Lester B. Pearson High School worked with LaurenHill Academy Junior ELA students and teacher/ELA Junior Department Coordinator Andrew Adams in order to showcase their many talents . ENCHANTED FOREST: At Sinclair Laird Elementary School in Park Extension, family and friends were treated to a wonderful musical in April. "Le Mystère de la Forêt Enchantée: 2015," featured a cast of 34 students and 50 choristers. The cast also shared their passion by going to Cedarcrest Elementary School in St. Laurent to perform the musical. Lyrics, music and story were penned by Sinclair Laird’s own music teacher M. Bélizaire. HOW SWEET IT WAS: After 12 years with the EMSB, teaching English, History and a few other things, in both mainstream and alternative schools, Michael Sweet has decided it’s time to move on and begin a new chapter in his life. 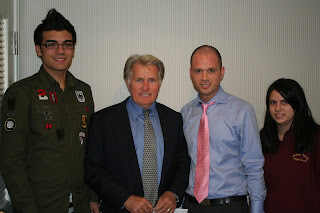 Michael Sweet and students with Martin Sheen. "What I have enjoyed most are the students," he says. "Nearly without exception the students I have taught have all been wonderful in their own way. It is these relationships, and those that I have had with the people receiving this email, that I will take take away as my memories. Michael will be immigrating to the USA to live in New York City. The first two years will be more studying as he completes a graduate degree (by distance) from Johns Hopkins University. Then, after that is done, he will look to the Big Apple for a new challenge - a new direction. "Teaching?" he asks rhetorically. "Maybe. Maybe not. Time will tell." The EMSB Communications and Marketing Division wishes to thank Michael for his many impressive initiatives, not the least of which involved actor Martin Sheen writing the foreward for an anthology he had published with students from a few EMSB schools called Raising Humanity. We got to meet Sheen when he spoke in Montreal and spent some considerable time with him. WORLD PREMATURITY DAY: The Jewish General Hospital is one of the largest birthing centers in the province of Quebec with approximately 4,500 deliveries each year. Its world-class Neonatal Intensive Care Unit (NICU) cares for about 700 premature babies and ill newborns. The JGH Auxiliary's Tiny Miracle Fund is committed to purchasing vital, life-saving equipment for the NICU. Thanks to our many committed supporters, we have raised awareness as well as over $300K with a goal of $500K. The Tiny Miracle Fund provides a wonderful teaching opportunity for students. It demonstrates the importance of charity, and allows the students to be part of an important global event. Participating schools will be eligible for a NICU nurse visit during the year, where a short presentation and video will be shown. This past year, eight schools participated and organizers look forward to increased involvement. Please consider the Tiny Miracle Fund for your special class or school wide projects for the 2015-2016 academic year. November 17marks World Prematurity Day all over the world. This special day can be celebrated in your school, by asking your students to wear purple clothing or a purple accessory and make a $2 donation. For further information, please call the JGH Auxiliary at 514.340.8216 or email us at thetinymiraclefund@gmail.com. SEGAL CENTRE OFFERS: The Segal Centre for Performing Arts in Snowdon is committed to giving its audience the most engaging theatre experience possible. For families and students of all ages, they offer a number of public programs for each season free of charge, including their Sunday @ the Segal series, Monday night talkbacks, Study Guides, and behind-the scenes videos and insights on their blog. Students can attend for up to 50 percent off the price of an adult ticket. Call 514-739-7944 for more information or to reserve, or buy your tickets online at segalcentre.org. In addition, school groups are welcomed for weekday afternoon performances, including reduced ticket prices, private tours, and talkbacks. Info: 514-739-2301 ext. 8360 for more information. ADMINISTRATOR PHOTOS: There is a new section on EDocs (the EMSB internal online document sharing program) with administrator photos. Those with access can go to this link and place their user name and password. GALILEO VIDEO: There is a great video on online from the Galileo Adult Education Centre's heatwarming trip to New York City for its special needs students. You can access it here. MICHAEL JACKSON TRIBUTE: On June 10, over 100 guests gathered in the gym of Galileo Adult Education Centre to be dazzled by the school’s Social Integration Services Program (S.I.S.) students. This group of nearly 50 students worked diligently for 10 months with their team of teachers and staff to prepare their musical, Love, Michael, a tribute to Michael Jackson Wendy Singer was there and she filed a detailed review on the Inspirations Newspaper blog. Please click here to read it. ST. LAURENT GRAD CEREMONY:St. Laurent Adult Education Centre proudly held its graduation ceremony on Friday, June 12. Fifty three of the 97 grads were in attendance. Many family members, friends, and staff were on hand. Guest speaker Marcelee Johnson, CA, an alumnus of St. Laurent Adult Education Centre, presented a motivational speech to the graduates. While all graduates have worked hard to earn their Secondary V diplomas, some have excelled in areas of academics, creativity, leadership, or perseverance. A number were honoured with special awards of recognition. Highest Achievement in English and Physics: Kreztorv Fugaban; French: Varishnico Lopez; History, Physical Science and Math 526: Adokai Adoquaye; Chemistry: Abenezer Mengesha; Ben Fairbairn Award: Stavroula-Christina Iliopoulou; Freda Greenstone Award: Jose Gould; Teachers’ Awards for Perseverance: Otisha Bushay, Harout Arthur Jabamikos, Dominic Laurier-Ricci, Nazilla Usmani, Harvey Yotosil and William Weiner; Student Life Awards: Claudia Pierre, Shanel Trimmingham and Rodella Ferdinand; PSBGM Cultural Heritage Foundation Award, Margarita Popesco; andGovernor General’s Academic Award and Medal: Adokai Adoquaye. The Class Valedictorian, Adokai Adoquaye, gave a beautiful and heartfelt speech to her classmates. All in attendance were treated to musical interludes by Bagpiper Sylvain Jette of the Black Watch Royal Highland Regiment of Canada, and by the St. Laurent Choir, directed by Myrtle Thomas. Following the traditional Tassel Ceremony, a reception was held with a light buffet and graduation cake. Here is a link to the St. Laurent Express newsletter. COMITÉ MARLENE JENNINGS: L’Association des commissions scolaires anglophones du Québec (ACSAQ), l’Association de comités de parents anglophones (ACPA) et le Quebec Community Groups Network (QCGN) et la Fédération québécoise des associations foyer-école (FQAFE) ont formé un comité externe pour examiner et analyser divers systèmes électoraux. L’Honorable Marlene Jennings a accepté de présider ce comité composé de cinq membres de la communauté anglophone, incluant Mme Jennings. Léo La France, ancien sous-ministre adjoint du ministère de l’Éducation représentera le QCGN, Brain Rock président de la FQAFE représentera cette association et Rhonda Bouchard représentera l’ACPA. Ce comité aura le mandat d’identifier des options de sélection de commissaires scolaires, de rechercher les points de vue des citoyens et organisations anglophones au sujet des diverses options, réviser les élections antérieures et formuler des recommandations sur la façon d’améliorer le processus ainsi que de formuler des recommandations pour les partenaires, à présenter au gouvernement tout en respectant les droits constitutionnels. gouvernance des commissions scolaires sont adoptées par l’Assemblée Nationale. Le Comité de gestion de la taxe scolaire de Montréal (CGTSIM) qui est responsable de la gestion centralisée de la taxe scolaire pour les cinq commissions scolaires de l’île de Montréal, estime à près de 100 millions $ le montant additionnel en taxes scolaires qui serait payé par les contribuables de son territoire si le gouvernement opte pour un taux unique de taxe scolaire au Québec. Le taux de taxes augmenterait de 0,24 $ par 100 $ d’évaluation sur l’île de Montréal au lieu du 0,19 $ actuel, afin de donner au gouvernement un revenu annuel de 2 milliards $ en taxes scolaires pour toute la province de Québec. CONCOURS D’ART DANS SIX ÉCOLES PRIMAIRES DE LA COMMISSION SCOLAIRE ENGLISH-MONTRÉAL: Six écoles primaires ont participé à un concours, organisé par la Commission scolaire English-Montréal et Énergère, afin de promouvoir l’efficacité énergétique et la protection de l’environnement. Ce concours coïncide avec l’annonce du projet d’efficacité énergétique de 24,6 M$ dans 17 écoles de la CSEM et poursuit la campagne de sensibilisation commencée en avril en partenariat avec le Jour de la Terre (+). Les écoles Pierre Elliot Trudeau, Gerald McShane, Michelangelo, East Hill, St. Gabriel et Dante ont démontré un réel engouement pour le concours avec la participation de 1 055 élèves ! Chaque école participante a reçu un panneau d’affichage sur lequel était dessiné un arbre dénudé. Entre le 22 avril et le 8 mai 2015, les élèves devaient créer une feuille d’arbre ou une pétale de fleur et écrire leurs idées ou gestes qu’ils posent au quotidien pour protéger l’environnement. En habillant l’arbre de feuilles et de messages, les œuvres de chacun ont construit une véritable œuvre d’art collective, « l’Arbre des idées vertes ». Trois juges ont visité les six établissements participants et ont été impressionnés par la beauté des dessins ainsi que par les messages des élèves, soucieux de la santé de notre planète. Pour chaque école, le jury a récompensé les six meilleures idées évaluées selon l’originalité, la beauté du dessin et le respect du thème. Voici quelques exemples : In the future I will build a robot that will recycle, Christopher Ramroop; Quand mon linge ne fait plus, je le donne à mon frère, Andy Zimmerman; J’éteins les lumières avant de partir à l’école, Teo Hemingway-Lalonde; Je viens à l’école avec ma bicyclette, Alejandro Sandoval; Utilise l’énergie solaire, Massimo Indelicato; I will save water from the rain and use it to water the plants, Marika Alessia Neri. À l’issue des visites, les membres du jury ont choisi l’arbre gagnant qui prendra place au centre administratif de la commission scolaire. Félicitations à l’école primaire Dante pour la création du plus bel arbre! Nos juges ont été surpris par la finesse artistique, le souci du détail et la réflexion menée autour de l’arbre. Sous la direction artistique du professeur d’art plastique, Mlle Franca Mambro, cet arbre a un impact visuel immédiat, un véritable régal pour les yeux et les sens. Rehaussé par son fond bleu ciel, cet arbre représente les quatre saisons, des branches d’arbre enneigées aux feuilles orangées automnales jusqu’au vert vibrant de l’été. En utilisant des textures et des techniques différentes, le réalisme de chaque feuille est impressionnant. Des éléments créatifs ont été ajoutés comprenant un nichoir, un nid d’oiseau, un seau à sirop d’érable, des oiseaux, des papillons, des escargots, un ver de terre et une enseigne de l’école Dante. Félicitations aux élèves de l’école Dante et l’Association d’Art qui ont proposé une très belle réflexion, qui ont passé du temps et transmis leur amour de l’environnement ! SENSIBILISATION AUX ALLERGIES: Kyle Dine, un éducateur et musicien, qui se produit dans des écoles à travers l’Amérique du Nord pour susciter la sensibilisation aux allergies alimentaires, a fait sa première visite au Québec, le lundi 15 juin. Il a été présent à trois assemblées à l’école primaire Gardenview à Saint-Laurent. Au cours des six dernières années, Dine s’est produit dans plus de 300 écoles pour plus de 125 000 élèves. Il a grandi en gérant ses propres allergies aux arachides, aux noix, aux œufs, aux fruits de mer et à la moutarde. Ses chansons aident à habiliter, à soutenir et à éduquer tous les enfants. Avec une guitare à l’épaule, une EpiPen® à la ceinture et une troupe de pantins loufoques, il conseille aux élèves quoi faire pour aider les autres à éviter les allergies. Après avoir grandi avec de multiples allergies alimentaires, il a des histoires et des expériences de toute une vie qu’il partage avec les élèves tout en répondant aux questions. HISTOIRE DU SUD-OUEST: L’école secondaire James Lyng de Saint-Henri a tenu un vernissage le jeudi 11 juin pour lancer un projet transdisciplinaire (histoire, éthique, anglais et français) axé sur l’histoire du secteur sud-ouest de Montréal, qui regroupe Saint-Henri, la Petite Bourgogne, Pointe Saint-Charles et Ville Émard. En tant qu’école d’arts urbains, une orientation prise en partenariat avec l’Université McGill, le personnel et les élèves de James Lyng ont créé un livre-photos qui documente leur projet de Jazz Burgundy dans la Petite Bourgogne. C’est une application éducative (http://music.cbc.ca/#!Burgundy-Jazz) disponible sur IPhones et IPads que les élèves ont utilisé pour les guider à travers leur tournée à pied de la Petite Bourgogne. L’application est axée sur l’histoire du jazz à Montréal et, spécifiquement, dans l’arrondissement du sud-ouest. En outre, il y a une grande murale sur le mur extérieur de l’école mettant en vedette des personnages éminents du sud-ouest, dont la légende de jazz Oliver Jones, le gérant général des Canadiens de Montréal Marc Bergevin, le dramaturge Vittorio Rossi et plusieurs autres. Le but du projet était d’inclure les élèves dans la communauté et cette dernière à l’école. Cette expérience d’apprentissage a permis aux participants d’aborder plusieurs domaines du programme d’études ainsi que de puiser dans les arts visuels, en partenariat avec le duo local HoarKor. Le vernissage met en vedette le livre-photos, une exposition de photos et le projet de la murale. L’enseignant d’histoire Scott McLeod a été l’un des principaux promoteurs du lancement de ce projet. TEMPS DES FLEURS: Un total de 340 choristes d’écoles primaires de Montréal, un orchestre symphonique et l’artiste québécois renommé Guy Nadon ont collaboré à la production d’un livre pour enfants/CD au sujet de l’ancien mythe grec de Persephone et sur la façon dont les saisons ont vu le jour. Un lancement à tapis rouge est prévu pour le 29 octobre à l’Embassy Plaza tandis qu’un concert est prévu pour le 21 novembre au Salon du Livre de Montréal 2015, dont le projet sera l’évènement principal. Plus de 500 éditeurs, auteurs, illustrateurs et des milliers d’invités seront présents sans compter les médias. Le Temps des Fleurs, Le Temps des Neiges est un ambitieux projet multidisciplinaire qui a culminé par la création d’un livre/CD pour enfants en français qui explore l’ancien mythe grec de la déesse Déméter, sa fille Persephone et le lien indestructible qui existe entre une mère et son enfant. La CSEM est représentée par six écoles primaires : Gardenview à Saint-Laurent, Pierre de Coubertin à Saint-Léonard, Edinburgh à Montréal-Ouest, Roslyn à Westmount, Royal Vale à NDG et Sinclair Laird à Parc Extension. Rédigé par l’auteur de livres d’enfants Glen Huser et adapté en français par Jean Antonin Billard et Robert Paquin, le livre inclut une version d’opéra de l’histoire sur CD, composée par Giannis Georgantelis. Brillamment illustré par Philippe Béha et racontée par Nadon, Le Temps des Fleurs le Temps des Neiges est une collaboration de Panarmonia Atelier Musical, de la maison d’édition Planète Rebelle et de Chroma Musika en partenariat avec la Communauté hellénique du Grand Montréal et le Congrès hellénique du Québec. SUBVENTION AMOUR DE LA LECTURE: La directrice Irini Margetis est encore sous le choc plusieurs semaines après qu’un groupe de 15 représentants de Chapters/Indigo ont fait irruption dans son bureau avec un chèque de 48 000 $ faisant de l’école primaire St. Monica l’une des 20 écoles d’à travers le Canada à recevoir la subvention « Amour de la Lecture ». Établie il y a de cela 11 ans par Heather Reisman, PDG et fondatrice de Chapters/Indigo, la Fondation Amour de la Lecture d’Indigo est engagée à offrir des livres aux écoles primaires en milieux défavorisés. L’équipe qui avait fait la demande de subvention : l’enseignante-ressource d’anglais Elena Bertoldi, l’enseignant de sciences Fernand Deschamps, l’enseignante de français du Cycle 1 Nancy Coutu, la bibliothécaire Mary Moroska était réunie avec la directrice pour une conférence téléphonique avec un représentant de la Fondation Amour de la Lecture. Quelques semaines avant cet appel, l’école avait été avisée par courriel qu’elle figurait parmi un groupe de 40 finalistes et qu’un gagnant serait déterminé prochainement. À leur insu, des représentants de magasins Chapters/Indigo de Montréal attendaient à l’extérieur avec des ballons, des gâteaux, des jus et un chèque. Alors que l’appel tirait à sa fin, l’interviewer a annoncé que l’école avait gagné et à ce moment la porte s’est ouverte et les célébrations ont commencé. « Ceci fut une merveilleuse surprise » a déclaré la directrice Irini Margetis. « Nous sommes si enthousiasmés par cette subvention qui pourra améliorer notre bibliothèque et offrir à nos élèves un très grand nombre de ressources et d’occasions d’apprentissage. Nous sommes très reconnaissants à Chapters/Indigo d’avoir choisi notre école et donner cette occasion à nos élèves. » En juin dernier, l’école primaire Coronation de Côte-des-Neiges avait reçu une subvention de 60,000 $ de la Fondation Amour de la Lecture. ENFANT RETOUR: Eryka Lafleur-Smith de l’école secondaire Laurier Macdonald a axé son projet de fin d’année sur le 30e anniversaire du réseau Enfant Retour du Québec. Eryka a décidé de créer et d’organiser un programme en l’honneur de tous les enfants disparus. Il y a de cela deux ans et demi, elle avait participé à un évènement intitulé Voix pour les disparus. Elle a été l’une des jeunes participantes choisies et elle a donné une voix à Marilyn Bergeron qui a disparu à Québec en 2009 et qui aurait eu 24 ans le 27 février. De sa propre initiative, Eryka a créé un tableau et a élaboré un discours en l’honneur de Marilyn. Ceci l’a inspiré à prendre un rôle plus actif. Le 25 mai, Eryka a organisé une levée de fonds sous forme de tournoi de soccer auquel ont participé plusieurs écoles secondaires de la CSEM. « Le but de mon évènement a été d’essayer de faire éprouver aux élèves et aux adultes mon sentiment lorsque j’ai réalisé le sort des enfants disparus et ce que leurs parents éprouvaient journellement. Je veux aussi étendre cette sensibilisation parmi les jeunes dans les écoles. C’est vraiment une cause très importante qui, je le crois sincèrement, peut changer un grand nombre de vies de façon positive, tout comme la mienne. » Eryka a reçu les parents de Marilyn Bergeron, Michel Bergeron et Andrée Béchard qui lui ont remis un collier avec la photo de Marylin à l’intérieur. Pour plus de renseignements, adresser un courriel à erykalafleur@outlook.fr. INAUGURATION DE PHILIP E. LAYTON: L’école Philip E. Layton a officiellement inauguré récemment ses nouveaux locaux au 3500 boulevard Décarie ayant déménagé au début de l’année scolaire de sa base de longue date à l’Association montréalaise pour les aveugles (AMA). L’inauguration a aussi été une occasion de célébrer le 103e anniversaire de l’école. Une présentation vidéo a souligné les années d’éducation et de dévouement que l’école Philip E. Layton a offert aux élèves aveugles, malvoyants et handicapés de la communauté anglophone de Montréal et de la province. Le directeur général par intérim, Angelo Marino, la directrice générale adjointe Roma Medwid, le commissaire Joseph Lalla, la commissaire représentante de parents Joanne Charron, la directrice Patrizia Ciccarelli, le personnel de l’école et les élèves, les parents et les anciens élèves étaient présents pour souligner cet évènement spécial. Après la présentation vidéo, les invités ont été conviés à visiter les classes et à assister aux leçons données durant une journée typique à l’école Philip E. Layton, qui partage maintenant des locaux avec l’école du Centre Mackay qui éduque les enfants avec difficultés motrices, sensorielles ou de langage. Des discussions sont en cours avec le gouvernement du Québec pour le financement d’un nouvel établissement qui logerait les deux écoles. DÉMÉNAGEMENT DE L’HÔPITAL POUR ENFANTS: La CSEM a maintenu sa présence de longue date à l’Hôpital de Montréal pour enfants du Centre de santé universitaire McGill (CSUM) qui a déménagé de l’avenue Atwater au nouveau site Glen. Gail Callendar est la directrice responsable de l’école que la CSEM opère à l’hôpital avec deux enseignants à temps plein qui s’occupent des besoins de tous les élèves hospitalisés. Dan Novak et David Weiss occupent actuellement ces fonctions. « Après des mois de triage et d’emballage, tout en continuant à s’occuper des patients, le déménagement s’est effectué très efficacement et sans heurts » explique Novak. « Le nouveau bâtiment est très spacieux avec de grandes fenêtres partout qui laissent entrer beaucoup de lumière naturelle. Les chambres des patients sont aussi très grandes et semblent avoir un équipement de dernier cri à leur disposition. Nous continuons à voir les mêmes enfants avec des horaires similaires à ceux que nous avions à l’ancien hôpital. En somme, il est agréable d’être dans un bâtiment ultra moderne avec un équipement de pointe et un personnel médical de classe mondiale. TOURNOI DE GOLF: ACRA, une association de directeurs d’école à la retraite, a annoncé que son tournoi de golf annuel aura lieu le jeudi 2 juillet au Club de Golf Belle Vue (www.golfbellevue.com) à Chateauguay. Tous les produits du tournoi seront versés à la Banque alimentaire St. Gabriel de Pointe-Saint-Charles. Les co-présidents Peter Yaworski et Kevin Marciniak soulignent que l’inscription sera limitée à 144 golfeurs et les formulaires sont acceptés maintenant. Les golfeurs devraient arriver vers 11 h 30 pour un départ simultané à 12 h 30. Les organisateurs sont à la recherche de firmes et d’individus pour commanditer des trous à 125 $ chacun, afin de lever les fonds nécessaires pour la banque alimentaire. Des prix pour la loterie sont aussi sollicités. ACRA a été établie en 1998. Ses objectifs sont d’offrir des activités de groupe/sociales pour promouvoir le bien être des membres et appuyer des initiatives caritatives et philanthropiques. Les membres sont des anciens administrateurs de la CSEM et des commissions qui l’ont précédée. M. Yaworski a surtout travaillé à l’école Good Shepherd de Brossard de la Commission scolaire de Brossard, actuellement la Commission scolaire Riverside. M. Marciniak travaillait à l’ancienne Commission des écoles catholiques de Montréal, y compris 20 ans à l’école secondaire polyvalente St. Pius X. Pour plus de détails, consulter www.acracan,org pour obtenir les formulaires d’inscription et de réservation de tables. En cas de mauvais temps, les golfeurs recevront un bon différé et la portion souper aura lieu comme prévue. TAUX DE RÉUSSITE: En janvier dernier, l’Association canadienne d’éducation (ACE) a été mise au courant du fait que la CSEM avait atteint le plus haut degré de diplomation de la province (87,8 pour cent). Par conséquent, il avait été demandé aux Services pédagogiques de soumettre un article exposant l’historique de changement au niveau de l’école et la façon dont ils avaient mis en œuvre une série d’initiatives dans toutes les écoles, qui étaient basées sur la création de réseaux durables d’enseignants professionnels qui avaient eu pour résultat une amélioration de la réussite de l’élève. Gil Abisdris a écrit l’article en collaboration avec Paul Kettner et Lina Zielinski. Il a été publié au numéro de juin 2015 de l’Association canadienne d’éducation. Le thème de l’article est « Towards fewer dropouts. La persévérance scolaire. The next Focus will be published on August 27. Submissions should be made to Michael J. Cohen preferably by e-mail (mcohen@emsb.qc.ca) by August 21.